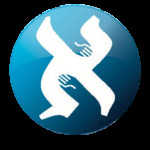 Nik Rebovich joined the Aleph Institute as a program development intern in September of 2018. Prior to beginning his position at Aleph, Nik spent 2 years as a Peace Corps volunteer and 1 year as an Americorps volunteer with the American Red Cross. He is currently pursuing a Master of Public Policy at the Heinz College of Carnegie Mellon University.